I have started this blog, with the intention to document any hurdles I come across. This to make sure that I have my journey documented and to help others. There is no use in everyone going to the same struggle to get things done. One of the first topics I came across when setting up my blog was how important esthetic photos are. Not just for your blog, but also extremely important for social media, like Instagram and Facebook. One of the most important traffic generators is Pinterest (if used correctly). Pinterest is basically a big search engine, with lots of photos, so to stand out you need to have good images to pin. And of course you also want your blog to look awesome, so you need them for your posts as well. There are several stock photo providers out there, with free or paid stock photos. At this moment I only use Unsplash. Unsplash is a user-friendly website, which offers you 100% free and useful HD quality photos. The Unsplash license allows photographs to be used for any purpose, commercial and personal. There is no limit on how many photographs you can download. A feature that I love is the newsletter. If you sign up, every 10 days you will receive an email with 10 new photographs. These are selected by curators from Unsplash and will surprise you with new work. You can search on a keyword, on new images added, and on certain specified topics, for example; Happy, New York, Laptop etc. If you do, you have the option to like and save photographs. 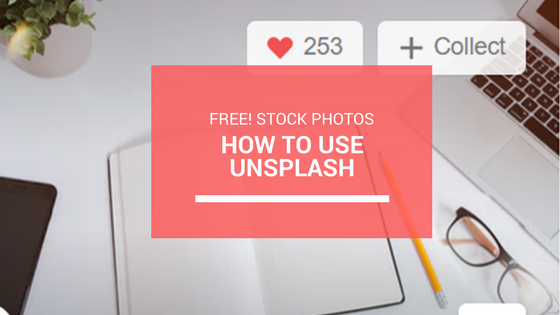 How can you download stock photos from Unsplash? To save a photograph, click on the “Download photo” link next to the photo. The highest quality version of the photo will open in a new window. It as easy as that. By clicking “Save image as” you will be able to save it on your computer. Which stock photo provider do you use if any?